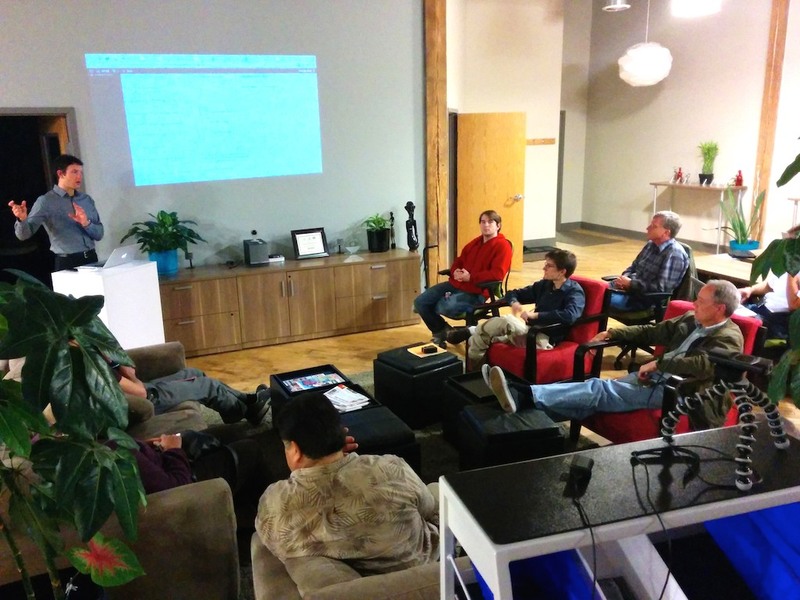 We talked about Development Environments and Version Control at our Dec 18, 2014 meetup. We talked about ServerPress, Git, and developing locally. Below are the notes. Brian Richards spoke about Git and developing locally. Here’s his presentation. Below it are notes from the talk. You should develop locally so you can test locally, not on live site. You should use Git even if you work solo, because of version control. Commit messages should be short but descriptive. Commits should be atomic: change one thing at a time. Git stores only the changes that have been made; SVN duplicates files. Brian doesn’t use WordPress as submodule; has run into issues. Checks in root and everything inside it, except wp-uploads. Brian doesn’t store database in Git. Always check out changes before you make your commit. Sequel Pro: a fast, easy-to-use Mac database management application for working with MySQL databases. WordSesh: 24 hours of WordPress talks. Live on Dec 20, 2014, and recorded for later viewing. Brian Richards and WPSessions are participating. Topher DeRosia made an exciting announcement about something WordPress-related. Follow or contact him for details. Duane Weed is looking to feature more videos about Michigan on DW Video. Contact him for details. 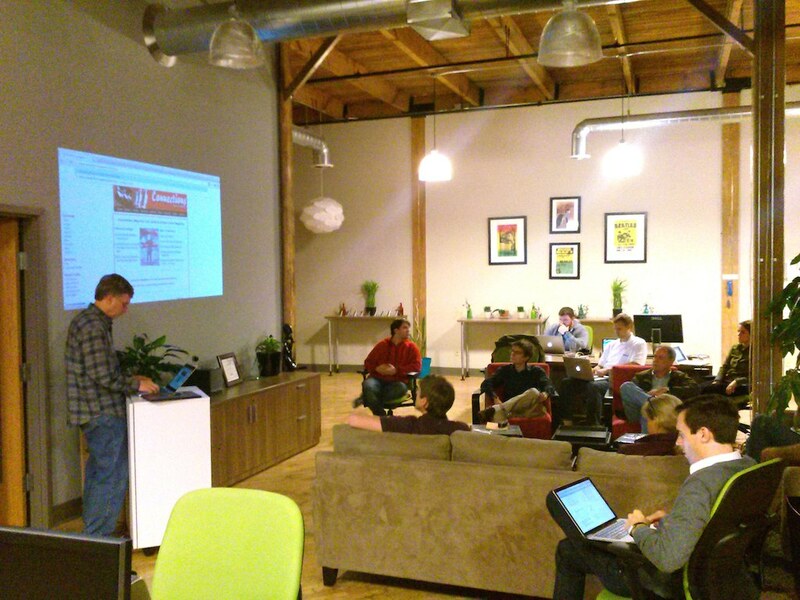 We talked about backing up WordPress sites at our Oct 16, 2014 meetup. We covered a few backup plugins and management services. Below are the notes. BackupBuddy & Amazon S3, etc. BackupBuddy is a premium plugin. Instructions: How to use BackupBuddy with Amazon S3. BackWPup is a free backup plugin. These instructions are several months old, and may not be 100% accurate. Create Amazon IAM user and add to BackupBuddy group. uncheck Show BackWPup links in admin bar. 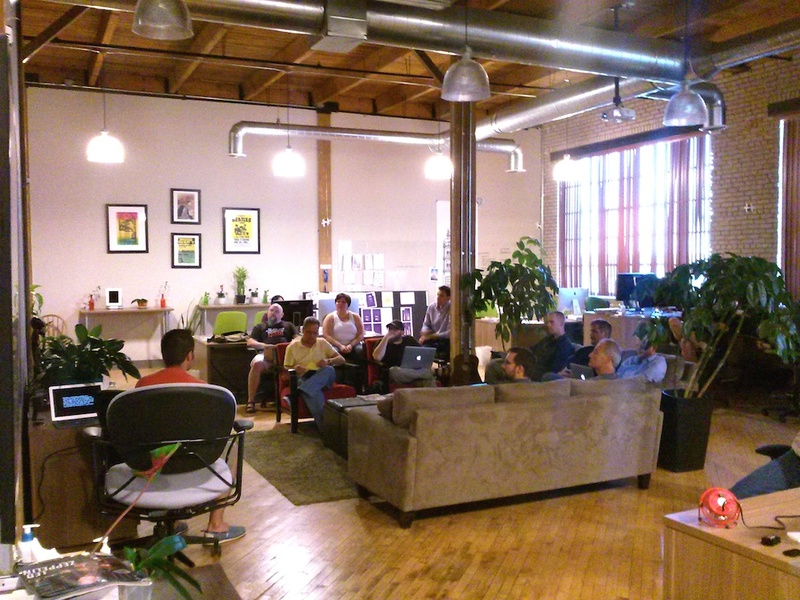 We talked about what we learned at WordCamp Grand Rapids 2014. We took turns sharing specific things we learned and actions we took as a result of WordCamp. Chad Warner and Topher DeRosia summarized a few points from talks. Others added their thoughts or asked questions. 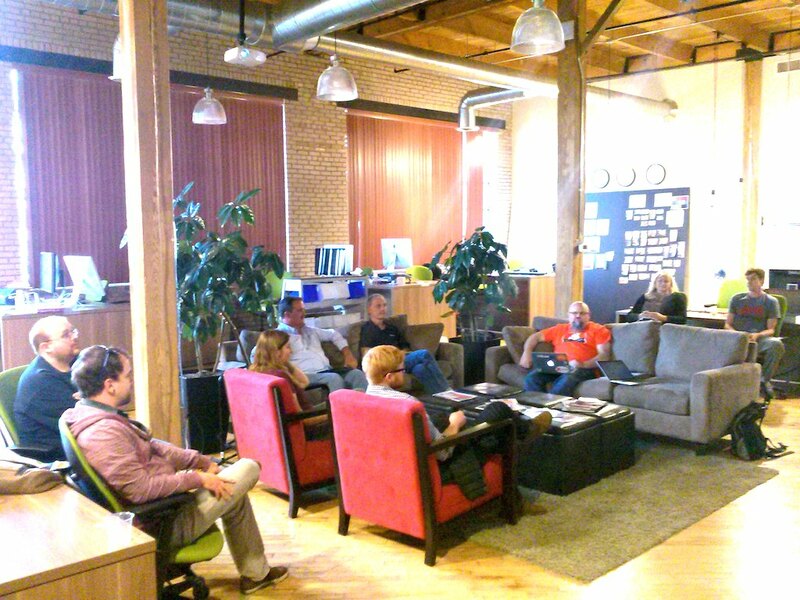 We also had plenty of discussion about other WordPress topics. Below are the notes. Talk titles below link to slides for the talk. Here are links to all the WordCamp Grand Rapids 2014 slides. how to find time to work on biz when working in biz? has it been 3-5 years? is your type hard to read? do people need to pinch and drag to view on mobile? is it hard to navigate? how do you handle clients who want to make design decisions? Make theme by The Theme Foundry: easily customizable without code. Topher used for his blog. Topher’s post on taking payments with Stripe. GiveCamp Grand Rapids: Nov. 7-9, 2014. Volunteer to help nonprofits with websites, software, etc. Remember, you can also find us on Meetup, Twitter (@wpgrandrapids and #wpgr), and Google Groups. 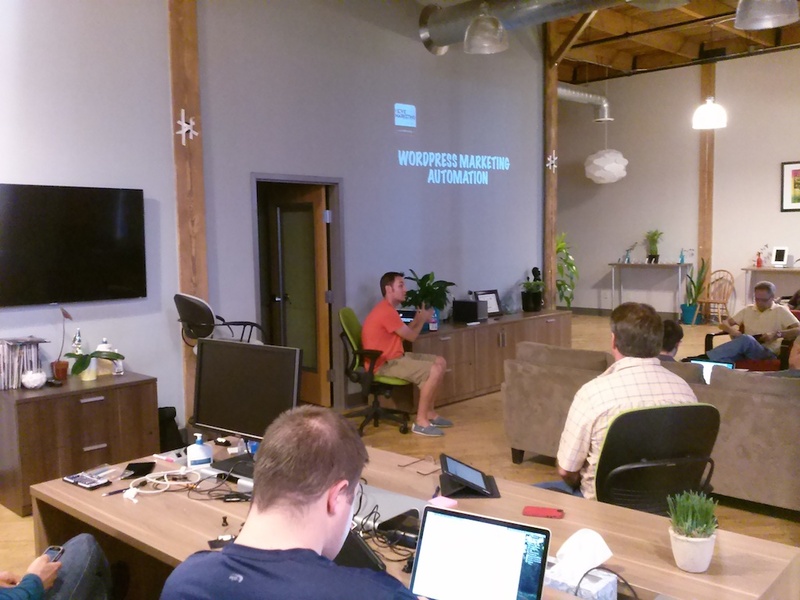 We talked about WordPress Marketing Automation at our July 2014 meetup. Dan Kaufman, marketing consultant at Empowered Marketing and co-organizer of I Love Marketing GR spoke about how to automate a sales funnel and must-have plugins. Get ready for WordCamp Grand Rapids 2014, August 15-17! You can buy a ticket, volunteer, and/or sponsor. Download Dan Kaufman’s presentation on WordPress Marketing Automation (PDF). Marketing automation: streamlining sales and marketing by replacing high-touch, repetitive manual processes with automated solutions. IFTTT: automate by creating “recipes” that connect various systems. Free. OptinSkin: nice-looking, high-converting opt-in form. Dan likes LeadPages better. Once a customer has purchased from you, they’re far more likely to keep spending. Maximize front-end conversions by keeping price point as low as possible. Typically under $20 (low-cost report or book); sometimes offered for free with shipping and handling. You’re invited to WordCamp Grand Rapids 2014! If you’re interested in speaking, sponsoring, volunteering, or attending, please visit the site. We’ll be adding more to the site in the weeks ahead. To stay informed, please subscribe to the mailing list in the site’s footer, or subscribe via RSS. On Twitter, follow WCGrandRapids and #WCGR. We look forward to seeing you at WCGR 2014!